I didn’t know a thing about cooking when I got married, so I relied on a Better Homes & Garden’s cookbook that I received as a wedding gift. I remember starting with the first recipe for a meal and then working my way through the book. I followed the steps and the results were edible. I used recipes for everything I cooked and baked for so many years until a friend was cooking in my kitchen without a recipe. Her kitchen skills amazed me, and eventually I got the confidence to experiment in the kitchen without a recipe. It was almost the same when I started learning tango. I didn’t know anything about the tango from Buenos Aires. I met a ballroom dancer in Chicago who had been to Buenos Aires, so I asked him to share what he learned with me. He had tango videos that we watched during our practice sessions. I followed his lead in the steps and the results were palatable. After years of ballroom dance classes, memorizing step sequences was normal. I had learned basic choreography for tango. It was years before I realized that the choreography I knew was for stage performance, and that improvised tango was in the milongas. The annual city tango championships were held this week, and I watched the qualifying and semi-final rounds on YouTube today. 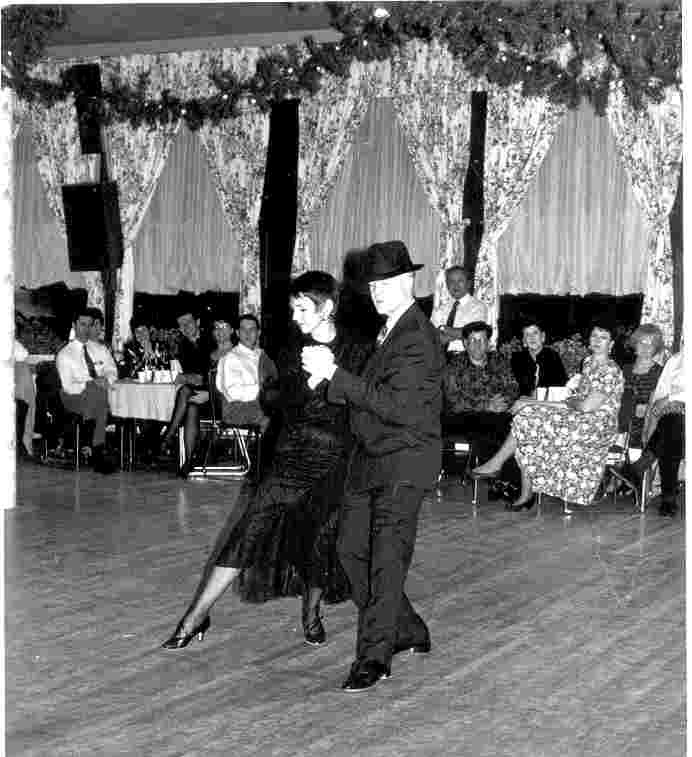 There are certain movements that are standard choreography in social tango today. Personal style is almost lost on the social floor. The championship has a recipe style of its own — one to please the judges. There is no recipe to follow in tango. It comes from the heart. This entry was posted on May 21, 2017 at 4:34 pm and is filed under Learning tango. You can follow any responses to this entry through the RSS 2.0 feed. You can skip to the end and leave a response. Pinging is currently not allowed. Jan, when you say that “personal style is almost lost on the social floor” do you mean there is no place for theatrics there or that individual dancers blend in with the other dancers on the floor and, therefore, not marked by any style of their own? By the way, I love to cook – with or without a recipe. It’s getting more and more difficult to see the unique personal styles of milongueros viejos like Osvaldo Centeno, Antonio Pisano, Alito, etc. who learned to dance at an early age. What remains are dancers who acquired their style from a teacher. Men who studied with Miguel Angel Zotto dance exactly like him. This is apparent in the city championships where they all dance the same. Tango al pista is tango for exhibition, not the milonga. I absolutely agree, Janis. There’s a lot of sequence dancing going on and it’s quite deflating.